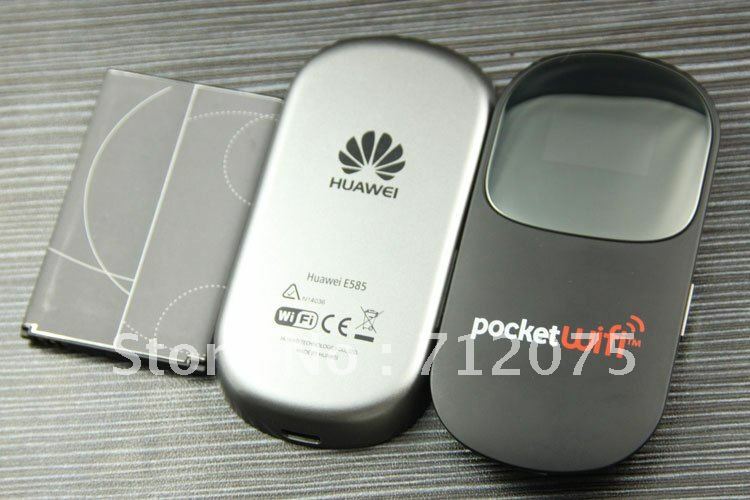 HUAWEI Mobile WiFi E585 is a high-speed packet access mobile hotspot. It is a multi-mode wireless terminal for SOHO and business professionals, it can support 5 Wi-Fi devices connecting and can stay online anytime and anywhere. Internal antenna, support Micro SD card. SMS capable. Pls kindly take note:It's manufactured by Huawei , but the logo is "Pocket Wi-Fi"
Aliexpress Escrowis recommended firstly for your security reasons. You can choose each of the paymethods pay to Escrow: moneybooker, Credit card, West Union, Visa or others. Items also ship to the delivery address you confirmed with Aliexpress Escrow. DHL, FedEx, UPS, EMS are prior delivery methods, which can ensure the speed and reliability, save on shipping cost and safety on delivery will be considered together. Items will be shipped within two working days when the payment received. Please make sure that the address you provided are correct and deliverable. 3-4eeks to South America, Mid-East, East Europe and Africa. Please kindly note:Customs duty and import tax are not included in the pricing of item and shipping cost. Pls check with your country’s customs office if needed. We will refund for the items upon receipt within 7 days, if items are returned in their original conditions(without physically damage or incorrectly operation). Buyer is required to pay the two ways shipping freight if the goods are non-defect. We provide 30 days replacement if the item is defective (without physically damage). Buyer require to responsible for the return shipping cost with correct packaging. We will send out a new one once we receive the returned item. We will provide free maintenance for the items which you receive them within 1 year, and buyer is required to pay for the two way shipping freights. All the accessories and gifts do not enjoy the warranty. Aliexpress system will leave positive feedback to you too, once we receive positive feedback from you for the items, according to Aliexpress system default setting. Pls email us before leaving any negative feedback, We understand your concerns or frustration you may have, but pls give us opportunity to resolve them. Do not hesitate to contact us freely if there is any problem, we will handle it within 24 hours.